Make a striking appearance with an eye-catching shoulder bag . 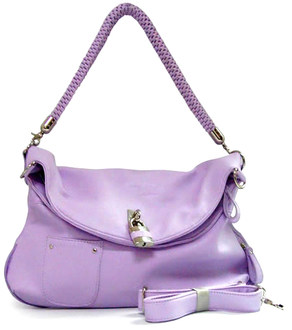 This is a superior quality bag with quality lining, stitching and metal accessories This handbag comes with a detachable shoulder strap making it flexible to use This bag features polished silver hardawre. Lined interior with zip and accessory pockets.